The Netherlands and Belgium will jointly purchase multipurpose frigates and mine control vessels. 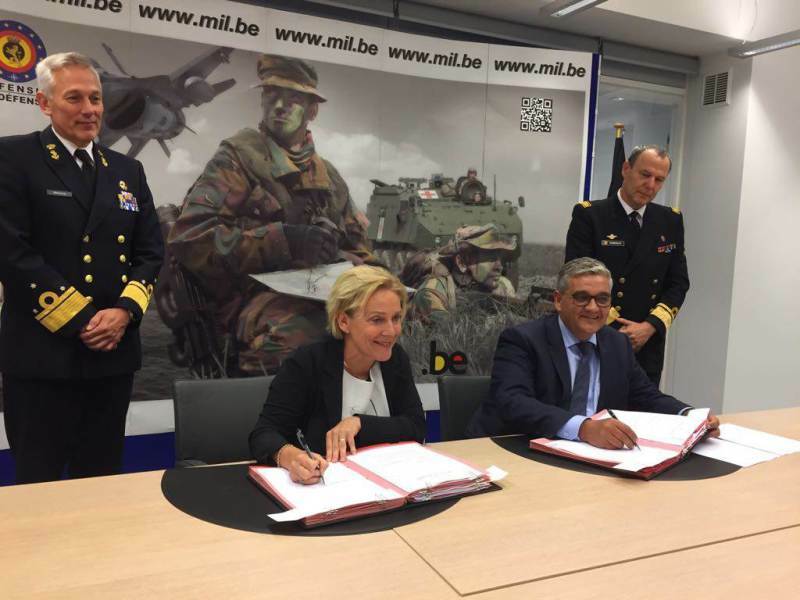 Dutch Defense Minister Ank Bijleveld-Schouten and her Belgian colleague Steven Vandeput today took the next step with the signing of two Memoranda of Understanding. This happened on the sidelines of the 2-day NATO ministerial meeting that took place in Brussels yesterday and today. Bijleveld said: "You have to be able to count on the neighbors if you want to keep the neighborhood safe. And the Netherlands is very happy having such southern neighbors. Our cooperation is good, very good. We can look back on decades of cooperation between our armed forces. In the field of missions, maintenance, cross-border logistics and air-space monitoring, as well as instruction and training of our staffs. " The Dutch Defense organization intends to request offers, without competition, from Damen Schelde Naval Shipbuilding and Thales Netherlands. This concerns the frigates, with a view to national security. Belgium will proceed to procure the minehunters in Europe. The first Dutch frigates and minehunters are expected to enter service in 2025. The current Belgian and Dutch M-frigates are almost the same in terms of configuration and operations, and that also applies to minehunters. This makes it possible for both countries to divide the maintenance among themselves, which provides considerable savings. The signing ceremony was originally planned for 29 May during the so-called Thalassa consultations in Brussels. This regular consultation between the Dutch and Belgian governments is intended to further strengthen cooperation. However, this meeting was canceled because of the [terrorist] attack in Liège.